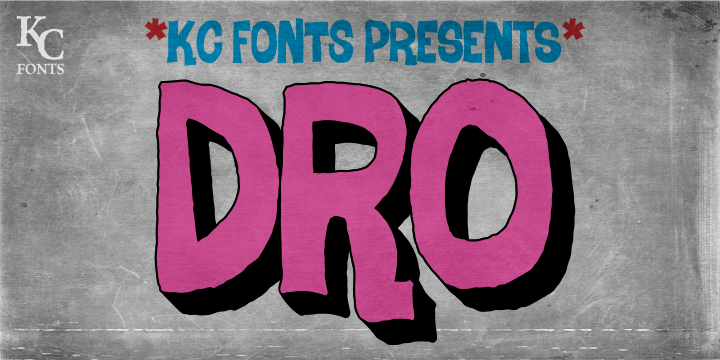 Here's a demo of my favourite cartoon font creation 'Dro'! while this demo is a combination of the two fonts in one, containing only 63 usable glyphs. the demo offers 1 of the variants from each Dro and Dro Fill with no OpenType support. Note: in the demo, uppercase is Dro and lowercase is Dro Fill. please contact kcfonts@gmail.com for more info about the commercial version. I have a new print press, relief based font out called 'Intaglio'! After researching more on the printing press, I discovered relief based printing. I wanted to try something different with the sunk-in letters and this is the awesome result! Note: This font is uppercase only. A few lowercase letters in this demo differ slightly from their uppercase counterparts. I have a brand new stencil based font for you called 'Misdemeanor'! I went back to my roots for this one and made it very detailed so just a heads-up! While this style may look punk, use it outside of that context, it might just be a new favorite! 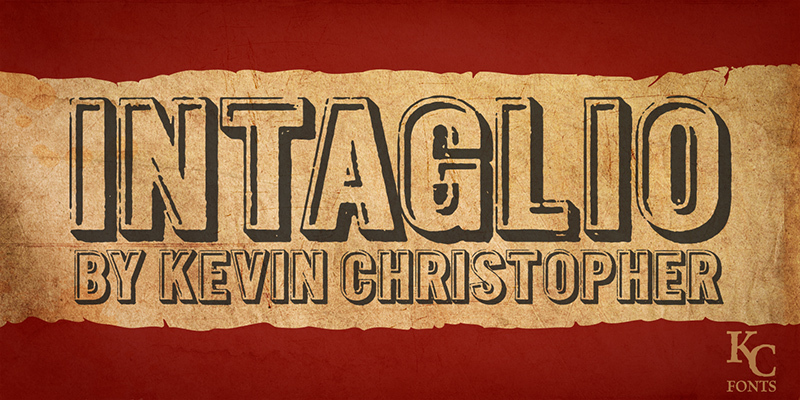 Copyright Kevin Christopher. All rights reserved. Awesome Inc. theme. Powered by Blogger.